The month of March officially starts the hot-dry season in the Philippines. Commonly referred to as “summer” by most, it is when the cool breeze of winter from the snow capped mountains of our neighboring countries in South East Asia ceases. But Filipinos ain’t letting the heat of the sun prevent them from having fun! Instead, it signals the time for more travels around the archipelago and enjoying the sun with friends, family or loved ones! Where Are You Going this Hot-Dry Season of Summer? This may be a simple staycation in a hotel, a road trip, a vacation in the province, or a long south-after visit to the beach! Well, for our case, being too excited for summer, me and my wife already caught some doze of the tropical sun as early as February. 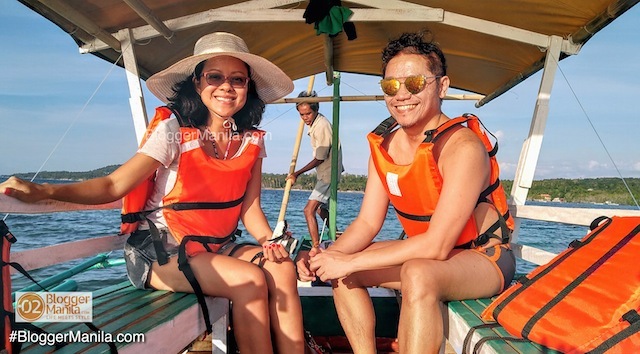 Our 2019 summer’s first destination was the the Island Garden of Samal, in Davao; via Air Asia! Don’t Be Afraid of the Sun! Share the Sun! 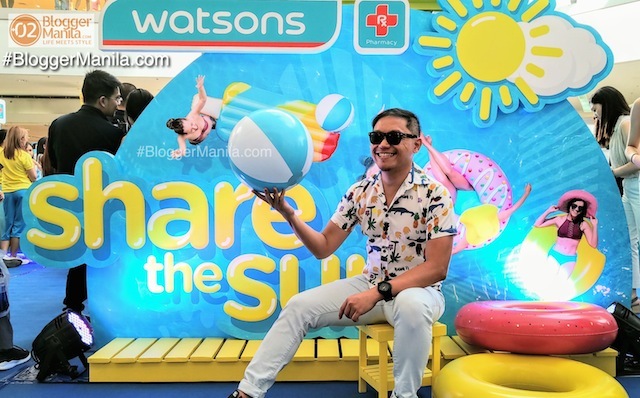 Needless to say, we thoroughly enjoyed it even with the scorching heat of the sun because we came in ready and protected with summer essentials from Watsons that help us look good and feel great at the same time! 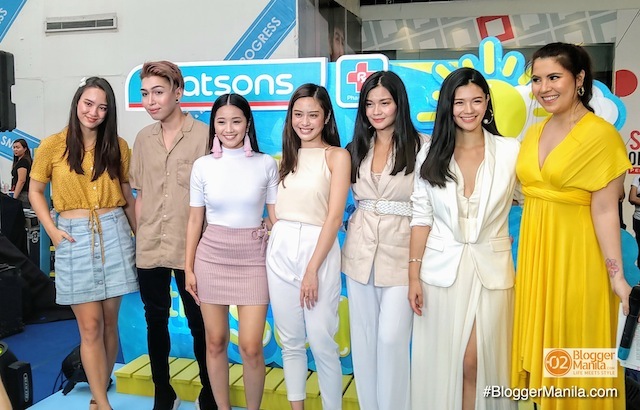 A few days ago, Watsons Philippines officially kicked of the summer vibes with the “Share The Sun” campaign with media and a plethora of digital influencers such as the Encisco sisters @VernieceEnciso @VernEnciso, the Venzon Twins @Venzon_Twins, Christian Busby @Christian_Busby, Ruth Dela Cruz @Ruthilicious, Marjorie Uy @LivingMarjorney, and more! Speakers and Digital Influencers @ the “Share the Sun” Event. 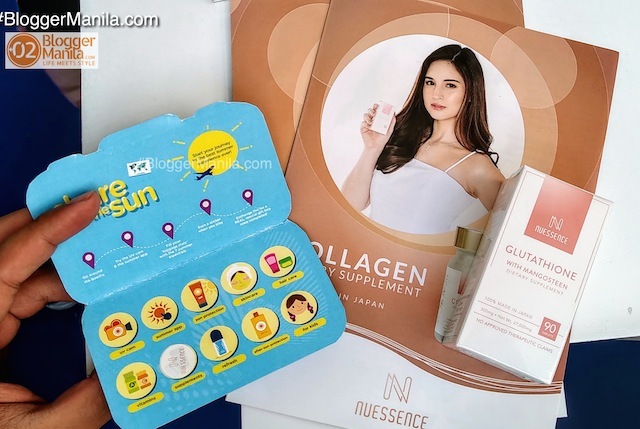 Here are some of the products you can find in Watsons stores for your summer needs – be it beauty or health products – that can keep you and your friends sun-protected, gorgeous, styled, energized, and refreshed! Feel fresh with your squad even during a game of beach volleyball! Choose from the refreshers of personal care brands like Nivea, Gilette, Old Spice, Naturals by Watsons, and Oral B, to look and feel fresh throughout even under the sun! 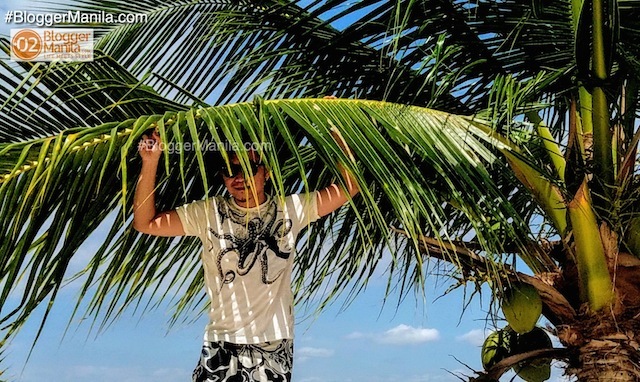 Face the sun confidently while island-hopping with your friends! 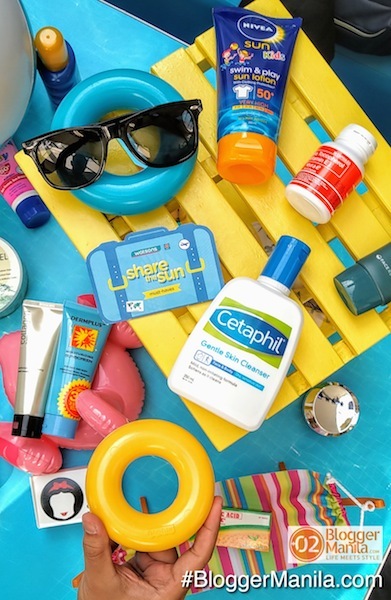 Sunblocks from Face Republic, Nivea, Belo, Ponds, Sunplay, Vaseline, DermPlus, Banana Boat, Hawaiian Tropic and Biore keep the skin from getting sunburned. To be energized throughout your crew’s out-of-town trips, vitamins like Enervon and Watsons Generics boost your stamina for more power on the go! collection of beauty essentials from Nu Essence, Dove, Cosmo Skin, Olay, BYS, Cetaphil, Bobbie Nails, Chic Nail Color and Snow Skin. After swimming and snorkeling with your ‘barkada’, care for your hair and add color and style to your look. Check out the essentials from Pantene, Hair Treats, Creamsilk, Revlon, Bigen, Kolours, L’oreal, Liese,W Elite, Philips, and Euroo. 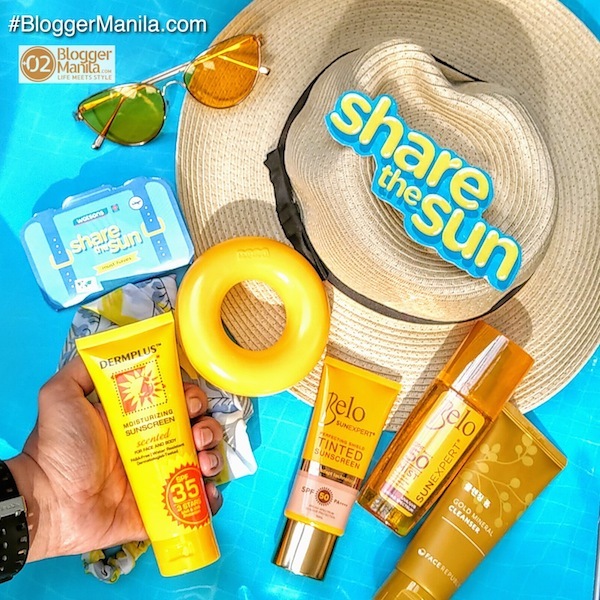 Share the Sun with Belo, Dermplus, and Face Republic! G! 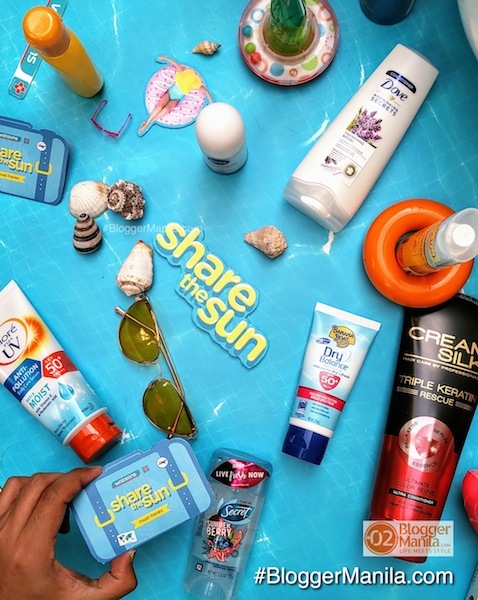 Share the sun as these summer must-haves are guaranteed to assist and help you and your tribe share the best time this summer! Moreover, if you’re a Watsons cardholder, you have the chance to be one of the 20 winners of a trip for 2 to Shangri-La Boracay Resorts! Get e-raffle entries for every Php 500 single-receipt purchase from participating products with your Watsons card! 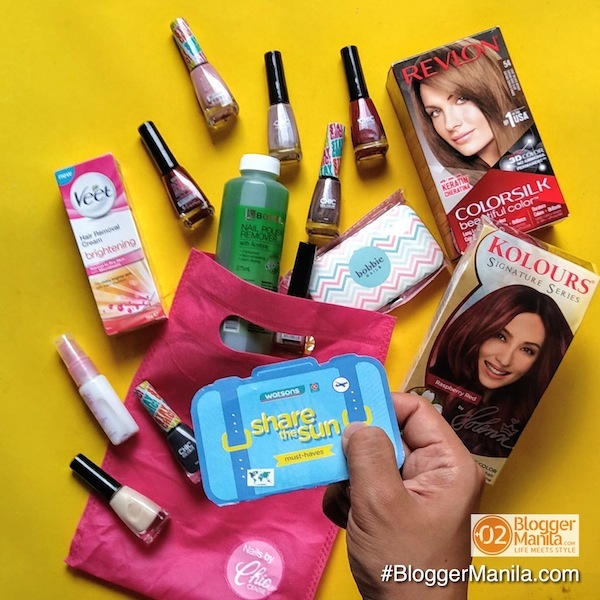 Hair Care & More: Revlon, Kolours, Veet! So go right ahead and enjoy summer with your family and friends! Choose your own adventure, leave your worries behind, and most important of all: Share your summer and share the sun! Aside from our drive to ‘Share the Sun‘, we also want to ‘Share the Products‘ above! 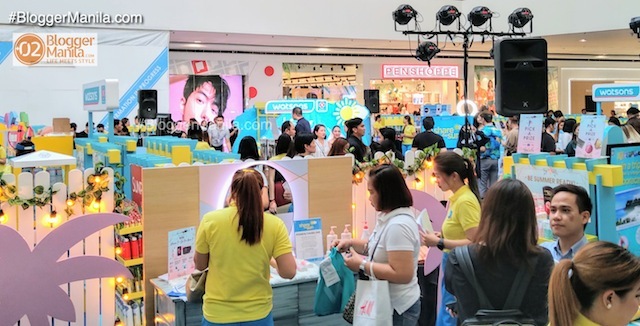 We’ll be raffling-off a Watsons Philippines gift pack consisting of some of the mentioned products above to be delivered for FREE anywhere in Metro Manila, Philippines (see photo below) ! Participating in the giveaway shall be open until the end of March 2019. Winner shall be announced 1st week of April 2019. 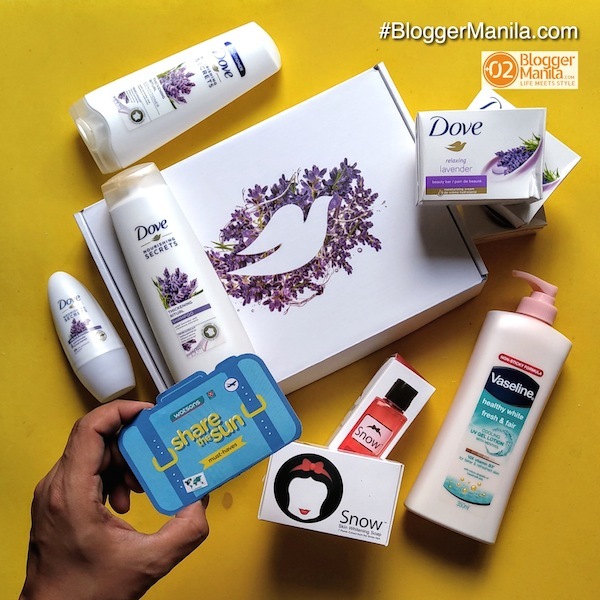 Follow @WatsonsPH on Instagram and Follow @BloggerManilaStyle on our Facebook Page, Twitter @BloggerManila, and on Instagram. 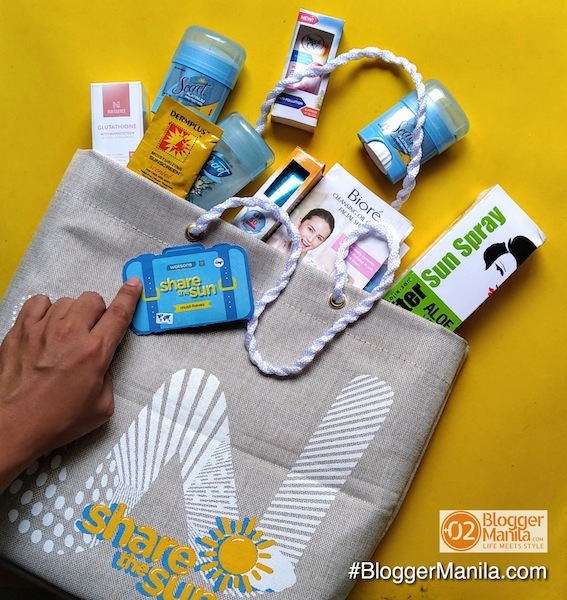 Share this article publicly on your Facebook Wall , Tag 2 friends and place the hashtags #BloggerManila and #ShareTheSun in the caption! 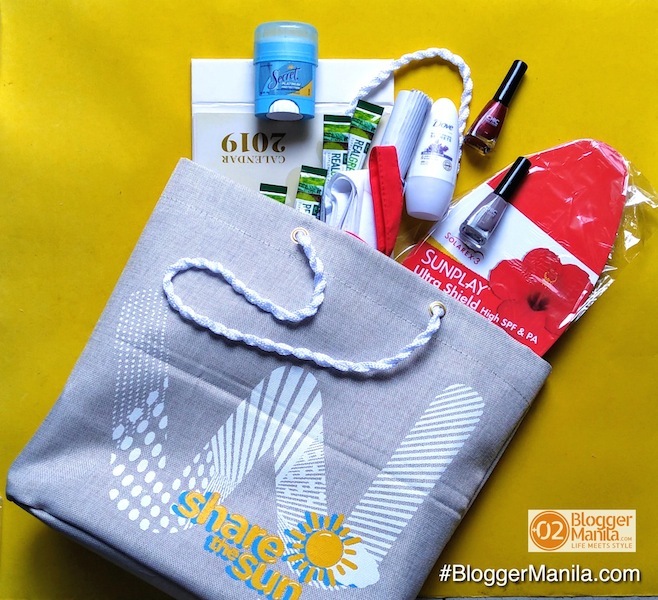 Explore more of life and style from Blogger Manila through email subscription here. No need to worry about the damaging effects of the sun as we can all look good and feel great with Watsons‘ complete range of range of summer essentials! Where do you plan to travel next? My favorite Watson Brand product for summer is Belo SunExpert Tinted Sunscreen. I used this product all year-round. It’s light-weight, non greasy, no white cast and adapt well to my skintone.